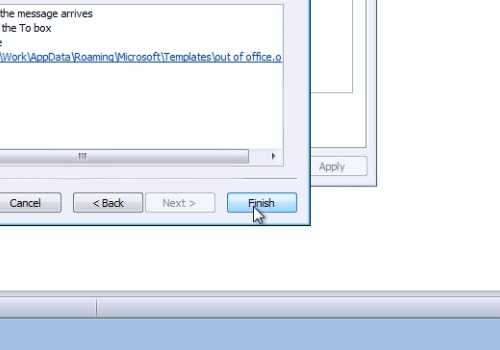 In this video tutorial we will show you how to set out of office in outlook 2010 without the exchange server. Launch Microsoft Outlook. In the following Outlook program window, press “New E-mail”. In the appeared window, go to the “Format text” tab. Select “Plain text” in the “Format” area. Compose your message for the out of office period. When it’s done, go to “File” menu and choose “Save As”. 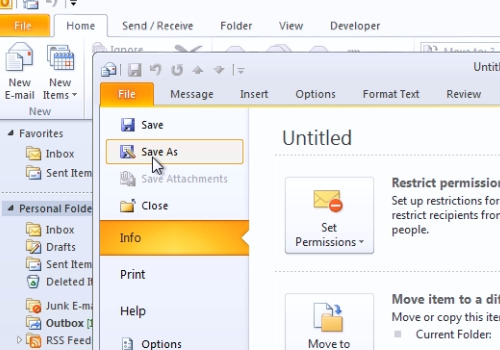 Select “Outlook Template” in the save as format. Type your file name and press “Save”. Close the window. 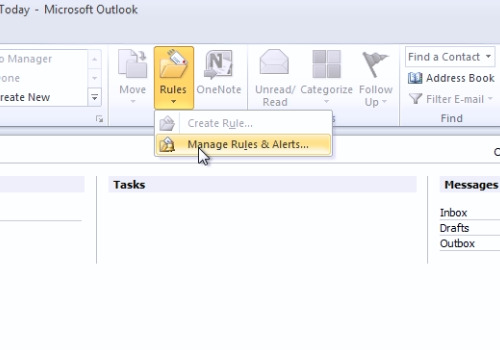 In the “Home” tab, click “Rules” and in the popup menu choose “Manage Rules & Alerts”. In the following window, press “New Rule”. 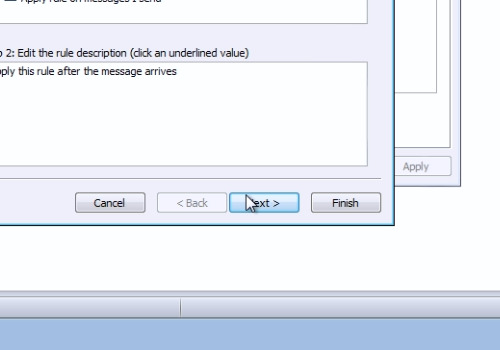 In the Rules Wizard window, choose “Apply rule on message I receive” and press “Next”. In the following window, check the “sent only to me” condition and “where my name is in the To box”, then press “Next”. In the next window, check “reply using a specific template”. Click “a specific template”, and in the following window, click near the “Look in” line and in the popup menu, select “User templates in File System”. Choose your out of office template and press “Open”. In the Rules Wizard window, press “Next”. In the next window, if you don’t need any exceptions, just press “Next”. In the following window, specify a name for your rule and then press “Finish”. To finish, press “Apply” and then press “Ok”. 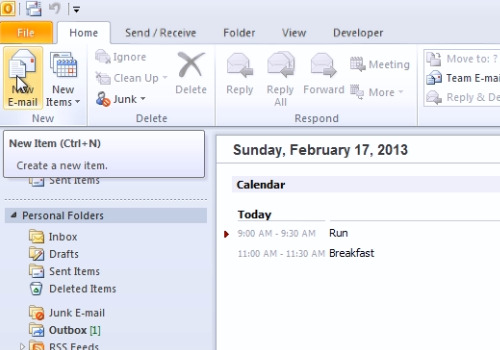 Note that Microsoft Outlook must be turned on for the whole period of time when you’re off. And remember to turn off this rule when you came back.